Intramurals is a team of 120 passionate volunteer student staff who organize UBC’s most iconic events, leagues, and marketing initiatives. With support from 7 professional staff members with experience in sport management and student development, all of our student staff are challenged to grow as individuals and innovate within their roles as student leaders. Apply now to volunteer for Intramurals and have an impact on thousands of participants every year, contributing to a decades-long legacy of sport community on campus. Described by some as the heart of the Intramurals program, this team of staff coordinates sports games for thousands of participants on just about every field, rink, and court across campus every week. As the largest of the three sectors in Intramurals, this team facilitates the development of community through 10 unique sports. This sector has 9 teams dedicated to running individual Intramural Sport Leagues for thousands of participants each week. Staff work closely with participants during on-site supervisory shifts, as well as familiar with the back-end of League Sport management by taking on a key administrative role within their team. The 10th team in this sector is dedicated to facilitating the hiring, training, and development of community for all League Sports Officials. Building on a legacy that is many decades in the making, the events team runs some of UBC's most iconic events. From Day of the LongBoat to Storm the Wall, Intramurals student staff drive the development, planning, and delivery of a diverse portfolio of engaging, exciting events. The Events Sector is made up of 6 small teams that work together collaboratively to put on a variety of events for the UBC community. Staff are challenged to use their skills in organization, logistics, and creative vision in this professional event planning environment, with a focus on learning and personal development. The Marketing Sector is made up of 4 teams that create content and reach out to all corners of campus to promote participation, engagement, and registration in Intramural Events and Leagues programming using a variety of innovative strategies. These staff help to define the role of Intramurals within the UBC community. This team is focused on driving awareness and registration for all Intramural Events programming through the creation of innovative content for a variety of professional digital channels. This team is focused on cultivating community development within Intramural Leagues participants through the creation of innovative content for digital channels and creative participant-centric programming. This team produces high-quality visual imagery for both Intramural participants and staff. Team members are encouraged to bring their own creative ideas into the team's projects. 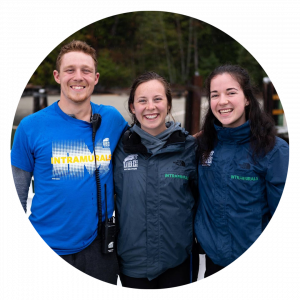 This team develops and maintains long-term relationships with key campus partner groups, working to foster a positive and healthy UBC community through the promotion of sport and recreation. What Types of Roles Are There? This team focuses internally to take care of the program’s staff, alumni, and legacy. 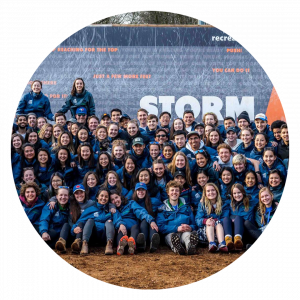 Made up of three senior Intramurals staff, the Program Development team is responsible for coordinating Hiring, Training, Retreats, Committees, and Formal Banquets, as well as day-to-day support for all staff members. Directors hire, train, and manage their own team of 3-10 Assistant Directors, coaching them to grow and succeed in their roles throughout the year. Directors also work closely with Intramurals Professional Staff to manage their workflow and develop personally and professionally over the course of the year. Assistant Directors make up the majority of the Intramurals staff base, designing and delivering outstanding programming for participants. In this on-the-ground role, staff form close relationships with participants, develop within their roles, and collaborate with other student leaders. Both the Digital Marketing and Community Development teams are looking for people who are wanting to learn more about digital marketing, social media, and building communities around recreational sport. You can state your preference in the application. The Media team is looking for individuals keen to utilize their photography and videography skills to produce high quality visual imagery for both participants and Intramural staff. Media is a highly creative and versatile department. You will provide appropriate portfolios in your application. 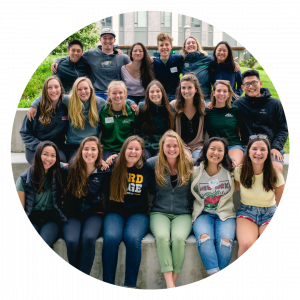 The Student Engagement team is single-handedly responsible for developing relationships with campus partners to foster a positive and healthy UBC community through sport and recreation. This is accomplished through strong presence in the UBC community and collaboration with campus groups. Previous experience in UBC communities such as Greek Life, Residence Life, Student Development, Peer Programs, Orientations etc. The Events Sector is seeking applicants who want to take their skills in organization, logistics, and creative vision to the next level by applying them in a professional event planning environment. All 9 League Sports departments are based on staff with strong customer service skills, passion for fostering community, and interest in learning administrative skills. Staff work closely with participants to provide exceptional weekly sport programming. This team is dedicated to facilitating the hiring, training, and community development for all Intramurals Officials. This team works closely with the other 9 teams in the League Sports sector. Applications for the 2019/20 Director Team are open for the Events Sector only. Please see the Job Description below. For any questions, please e-mail im.prod@ubc.ca. Applications are now closed for 2019-20 Intramural Program Development Team. For any questions, please e-mail im.prod@ubc.ca. Applications are now closed for all 2018-19 Intramurals staff positions. If you would like to get a taste of what it's like to work with Intramurals staff, check out our Event Day volunteer opportunities. Applications for 19/20 Intramural Staff positions are posted above.